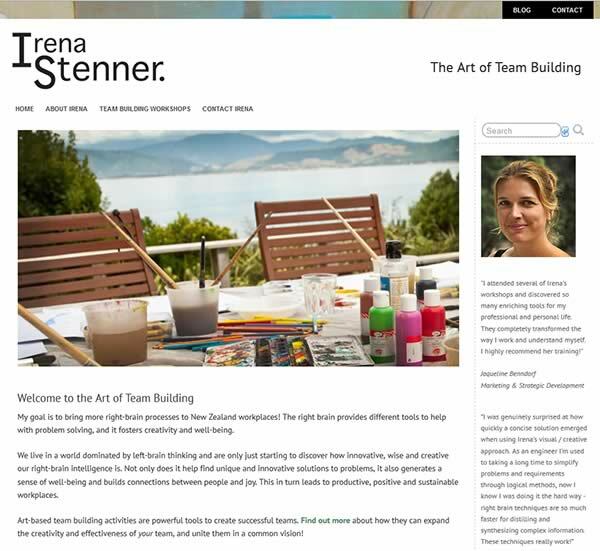 Irena Stenner allows the astounding creative power of the right brain functions to flourish with her art-based team-building workshops! In my own travels, I’ve found that trying to get the mix of the left brain (with its analytical and logical processes) working in concert with the creative and lateral right brain is a tricky balancing act, but can be very rewarding. Some of my friends would no doubt posit that it’s especially impressive for someone appears at times to have only half a brain. Given that some theories suggest we only use 10% of our brain capacity, then a quick trip via calculus would put the final tally at somewhere around Π/2.71, I figure (accurate only to 8 decimal places).